Armed with a smartphone and a battery of apps, everyone's a photographer these days. What that means is that fine art photography has been granted a new authority, evolved even more of an aura. At the same time, digital artwork is becoming increasingly nuanced, assuming a craft savvy missing in its early years. A new exhibition at the Australian Design Centre is a manifesto for a nascent generation of image makers. Fracture: Differences is a collaborative project between architectural photographer Shannon McGrath and graphic designer Marcus Piper, who these days declares himself a "digital craftsperson". Black and white, oversized, formal but ghostly, the "fractures" are McGrath's abstracted architectural imagery; the "differences" are Piper's response to them. Throughout the gallery space they are suspended back to back, to acknowledge their connectedness, but allow for individual reading. Piper is an art director of renown, a former member of London's legendary Research Studios under the direction of graphics guru Neville Brody. In Australia he is notable for the art direction of the now defunct POL Oxygen design magazine as well as the launch of Mezzanine, which exists under lesser direction these days. Today he lives and works (and surfs) at Thirroul, on Sydney's south coast. McGrath's commercial architecture and interior photography has appeared in Vogue Living, Belle and Houses magazines. But it was the personal portfolios of each that grabbed the other's attention. "I happened to come across one of Shannon's non-commercial works and was immediately struck by the similarities with the work I was pursuing in my spare time," says Piper. When Piper showed her his work, "I knew we were thinking and talking the same language," says McGrath. "We could have both said, 'Oh that's nice,' and gone on our separate ways, but we were mutually intrigued by what we could possibly achieve together." What they've achieved together is an elegant body of work, compelling in its complexity. McGrath's images tend to the ethereal, blurring hard lines while retaining structural integrity. Piper has, he says, "responded to these visually by taking space that's created in her work and reinterpreting them from above". The strict geometries of both are offset by a lovely luminosity that is enhanced by the fact the images are mounted on aluminium sheeting by Sydney's Axolotl, specialists in innovative architectural surfaces. "Architecture is the masterly, correct and magnificent play of masses brought together in light," intoned Le Corbusier in his seminal 1923 tome Toward an Architecture. His point was that without light, architecture, for all its mass and presence, simply doesn't exist. 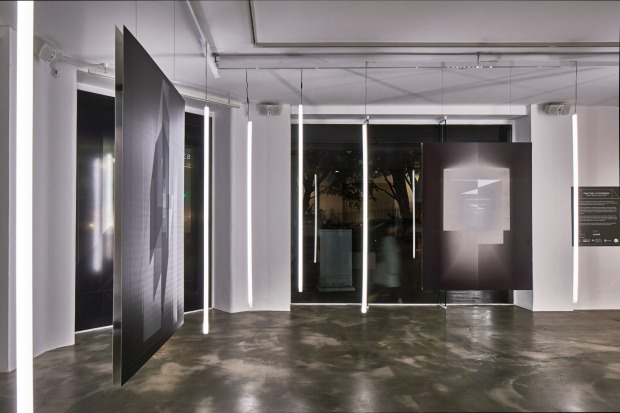 It's this apparent paradox that McGrath and Piper bring into play in this series, installed at the ADC gallery amid a forest of white neon tubes, a case study of light taking on architectural form. 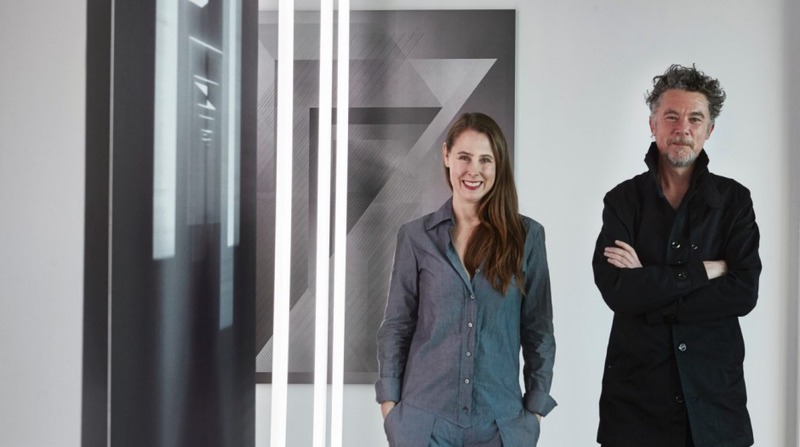 "To have a couple of creatives who are both highly accomplished and respected in their different but connected fields creating work which forms a dialogue, that's incredibly exciting for us," says Lisa Cahill, director of the Australian Design Centre since April last year. Cahill is committed to exploring "all the different aspects of Australian craft and design" and over the past 12 months the exhibition program has included a celebration of clay, a focus on upcycling by "repair researchers" and a Chili Philly Crochet Social. featuring crocheted wearable 'art' including headpieces in the shape of burgers and pizzas, by Melbourne artist Phil Ferguson. McGrath and Piper's Fracture: Differences are in an edition of nine at 1260 X 950mm or 950 X 750mm, framed or unframed.